By now, we hope you've had a chance to check out the brand new My Morning Jacket website that now includes the Roll Call community. Early reactions have been exciting for us to read and we thank everyone for their comments and suggestions on how to make the experience even better. Additional updates and features will be unveiled in the coming weeks and months. Roll Call members will have access to August tour ticket pre-sales tomorrow Wednesday May 2nd at 12noon EDT. With the new site, there is a new process which we think you will find much more convenient. 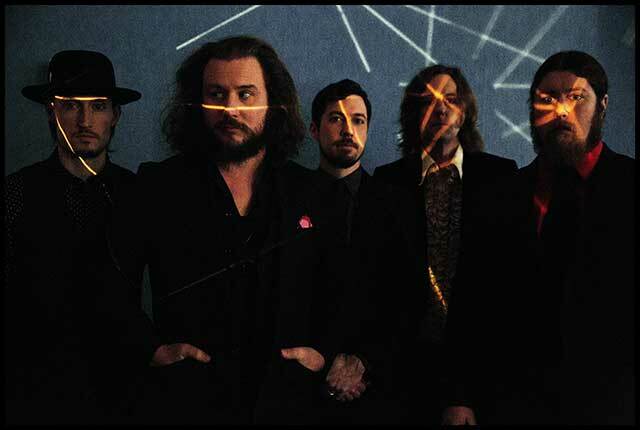 Now, all you need to do is log into the www.mymorningjacket.com website with your Roll Call password and go to the date you are interested in under the Tour section and await for the tickets tab to become available. By popular demand, Soundcheck parties will also be available in select markets where time permits. As with the tickets button becoming available tomorrow at 12noon EDT, so will a Roll Call VIP button for Soundcheck parities in that specific market when available. Be sure to secure your ticket first before adding a Soundcheck party to your cart. Soundcheck parties are an additional $40 per package. * In the past we have created a brand new poster made specifically for the Soundcheck events. This time around, we are throwing the locally made silkscreen into the package therefore removing any stress about needing to be in the venue early in order to secure your limited show poster. Thanks again to everyone and if you have any additional questions, feel free to visit us at support.groundctrl.com.